Octane is a company that is a sum of its products and people. Our experiences and skills reflect in our technology and in the solutions that we offer. The relation that we share with our clients validate the dedication and hard work of our team. We know we have a great product & we make sure that we have great people promoting and working on it. 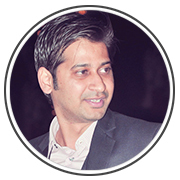 Punit is one of the co-founders of Octane and leads team Octane across all functions. He has two decades of experience spanning mature and emerging markets. 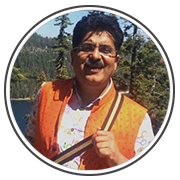 Punit has been a seasoned entreprenuer and Octane transpires to be his third entreprenural venture, he has also held a number of senior positions in product management, sales and marketing with some of the world’s leading technology brands like Microsoft Corporation, Oracle Corporation, Siebel Systems, NIIT etc. At Microsoft, he led marketing for India’s largest software license business with annual revenues exceeding USD 500million. His interests span across India, Internet and Inclusion. A new age nomad, Punit has lived and worked in San Francisco, London, Amsterdam, Bangalore and he now lives in Delhi. 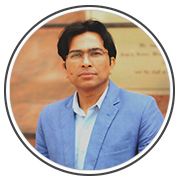 He is a graduate in science, majoring in Physics from Ranchi University in India and has attended extensive management development programs during his career. Punit is an avid snowboarder and a published photographer. Speaker Profile. Abhishek Bhandari Abhishek is heading Product @Octane and is responsible for leading Product Strategy, User Experience and development of Octane’s Product Roadmap. He works with Development, Research and Management to explore ideas, prioritize them, and bring them into the world. He has 10+ yrs. of experience in tech start-up with cross functional exposure in product management, business strategy, sales and operation. Starting his career at Octane, Abhishek has grown with Octane in carving a niche in Email Marketing domain. He likes to spend time following latest news on digital innovations. He is a sports enthusiast and has keen interest in playing sports and is mostly found playing football over the weekends. 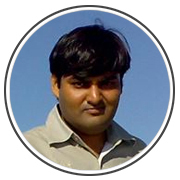 Ankit has more than 8 years of experience working in web application development. 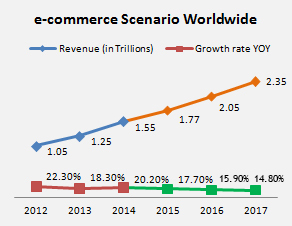 He has exposure in almost all the technologies to scale up product infrastructure. 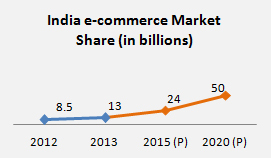 Worked in ecommerce giant like Jabong and classifieds like OLX, Gaadi/Cardekho. His core competencies are adhering best/world class practices to make the software development life cycle easy and robust. For him programming is a matter of thinking instead of writing. He loves to talk about technology and can spends hours in technology discussion. Ankit is fond of singing and reading fictions. Arun is spear heading Finance @Octane and is a Chartered Accountant and Company Secretary by qualification. He is proficient in Financial Operations, Planning & Execution, Profitability analysis and partnering with business and leadership. 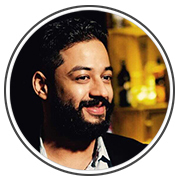 Arun has worked in BFSI & Manufacturing Industry in his previous organizations and now exploring the Digital Marketing domain. He is responsible for managing the entire accounting function, financial & taxation and creating the financial policy framework. Arun hails from the pink city of “Jaipur” and lives in Ghaziabad. Gajendra leads the Customer Experience for us @Octane, he has a rich experience of 13+ years in Customer Service and Client Management. His core competencies are into Operation Management, Customer Service, Operational transitioning of Businesses and Vendor Management. 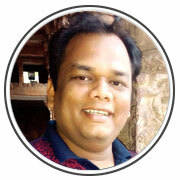 He has niche experience in designing and re-engineering of various processes through effective approach. 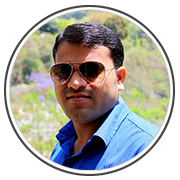 Gajendra has worked with companies like IBM Daksh, Vcustomer and Elitfiy and his last tenure was with Cashkaro.com. 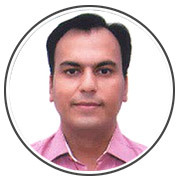 He is Six Sigma trained and have attained leadership certifications. He is a die-hard sports freak and like to play cricket, table tennis and badminton. His inspirations are Dr. Daiseku Ikeda, Sachin Tendulkar, Mark Zuckerberg, Steve Jobs and Dr. APJ Abdul Kalam. Gajendra also has keen interest in Buddhism and Hindu Mythology. Megha is a seasoned HR Professional specializing into corporate and strategic HR with 9+ years of experience in Human Resource & operations, she has worked with companies like GE Capital, NIIT Technologies, HCL in the past and has also worked with young companies like 99lables.com and Octane, her love for start-ups & a dream to be an entrepreneur one day has brought her back to a young company like Octane. 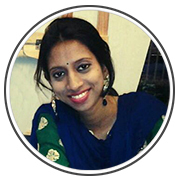 She takes care of Human Resources & Operations & has keen interest and expertise is bring in Automation to the HR function especially for start-ups, she & her team is also responsible for increasing the count of team Octane by hiring great talent & maximizing the outreach of brand Octane. An avid traveler, painter and a sports enthusiast, she has represented Delhi state at National Level in sports & lives in New Delhi. Rakshit is one of our success stories in the journey of Octane. Starting as a Business Manager, he is now the AVP of South heading the Sales engine @octane and is responsible for P&L for South region. Based out of Bangalore, he started his career as the Head of Marketing with a Leather company; moved on to an ecommerce start-up CostpriZe.com and is now with Octane contributing aggressively to the top line. He has a tremendous zeal to acquire what he sets out for. A diehard fan of cricket and an avid supporter of Modi’s ‘Make In India’, he lives by the quote ‘I love the mornings! I clap my hands every morning and say, ‘This is gonna be a great day!’ – Jerry Maguire. Vimal leads the Infrastructure vertical @Octane. He has a rich experience of 8+ years and has enormous knowledge and expertise in Mail Servers, Web Servers, Database servers, Amazon Cloud. His ability to ensure a quality system design, system performance, optimal operational cost and installation, configuration and troubleshooting various form of Server is commendable. He is an excellent team player & has always worked for maximizing the productivity of the team and being a focal point for all technical issues related to servers & infrastructure. Vimal enjoys playing ping pong and is based out of New Delhi.